Christine Moran found that writing poetry helped her come to terms with her MS diagnosis. She's recently had a book of poems published and is donating all the profits to the MS Trust. Here is her story. I was diagnosed in March 2011 with secondary progressive MS (SPMS). On looking at my medical history my neurologist told me it was clear to her that I'd had relapsing remitting MS for 30 years undiagnosed. My records showed various strange symptoms back in the 80s and 90s which, at the time, doctors told me were down to stress and anxiety (this had puzzled me as I was neither stressed nor anxious). However I then went through a long period symptom-free until 2005 when my right foot became weak. I began to trip and fall resulting in black eyes, cuts and bruises. I had an operation for torn ligaments on my weak ankle and we thought this would correct the problem, but it didn't. It became apparent that the ligaments tore because I was falling; it wasn't the torn ligaments that were causing me to fall. It took another six years to arrive at a diagnosis when an MRI and lumbar puncture finally confirmed SPMS. This news was somewhat bittersweet because while it was a relief to finally know, simultaneously it rocked the boat of my reasonably calm life. I fell overboard into a raging sea of shock, anger, denial, acceptance and back again until eventually I began to take hold of the reins and decided to write down my thoughts and feelings. These seemed to appear as poetry and soon I was beginning to enjoy a new hobby which I firmly believe has saved my sanity, along with the support of a loving family. In the beginning I wrote mainly about feelings surrounding my condition, but I tried to write in a universal way hoping maybe this could help others going through adversity of any kind. Eventually I branched out and started writing about other subjects too including my animals, family and nature. I began blogging in order to share my poetry with others and then two years ago I joined a writing group which meets every Friday morning: this is one of the highlights of my week. As well as improving my writing I have met a new group of like-minded people who have become good friends. Even when the class breaks for holidays we still meet up every other week for coffee and a chat. 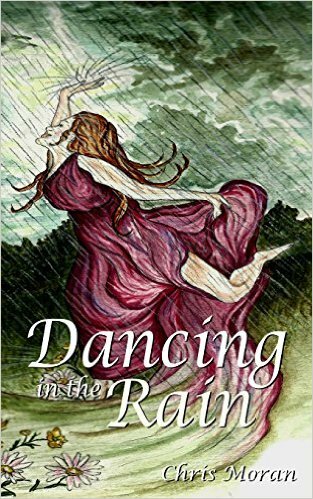 Recently I was fortunate enough to be taken on board by a publisher, Bennison Books, and my poetry book called Dancing in the Rain has now been published. This has been a project beyond my wildest dreams. All profits from sales will go to the MS Trust, without whom I would have felt stranded and very much alone upon diagnosis. The information leaflets and books that the MS Trust provided were a lifesaver: their well laid out, easy to understand information allayed many of my fears and helped me to realise that MS is not a death sentence. Life can still be good, although now my mobility is decreasing it is a very different one and some days feel darker than others. But there is always a shaft of light out there, we simply need to keep it visible. Christine's book Dancing in the Rain is available on Amazon at £4.99 for a paperback edition and £2.99 on Kindle.